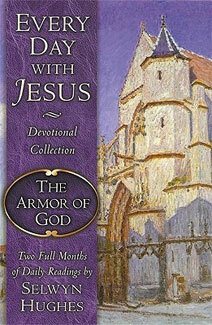 Classic devotionals at a very comfortable price. Selwyn Hughes' devotional writings have resonated with readers for more than thirty years. They seem to come from a well that’s being constantly nourished and replenishedthe truths of God’s Word, captured in thematic groupings that never tire but continue to satisfy. And now we’re making Selwyn’s classic expressions of God’s love and provision more readily available than ever, presented in two-month samplings of style and substance that are a daily treat to enjoy and (at $3.99) a true blessing to share.